These two veterans are showing the nation how to take America back, through their use of the law and taking part in all public meetings, they are holding their elected representatives accountable for their actions. What would we do without the sacrifices our veterans who have already given so much to this country and continue to fight for the oath they all so proudly took to defend this nation. People ask all the time, “well what am I susposed to do to fix the corruption”? Here is your answer, participate in your government, attend town hall meetings, county meetings, read up on the statue’s that are in place to hold our elected officials and public servants accountable for their actions. Record these public meetings so you have the evidence you need to hold them accountable for their misconduct. Organize other citizens in your communities and form groups that have the same concerns. Organize people who are willing to participate in cleaning out the corruption that is taking place in most of our communities, and even at the state level. It has to start some where, it has to start with you. 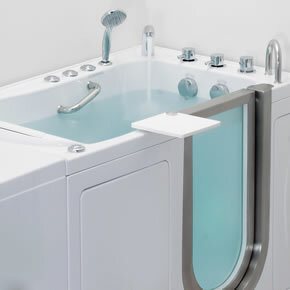 Here is how it’s done. God bless our Veterans. Illinois residents John Kraft and Kirk Allen, who run an anti-corruption non-profit called the Edgar County Watchdogs, have waged a campaign against crooked public officials over the past two years, forcing resignations from 102 bureaucrats and politicians and at one point placing an entire park district board under citizen’s arrest. With four former governors having served time behind bars, Illinois’ government is widely-viewed as being riddled with corruption. However, according to a recent expose by Forbes, two military veterans in Edgar County have begun to fight back and, in just under two years, have drastically cleaned up corruption in their community. 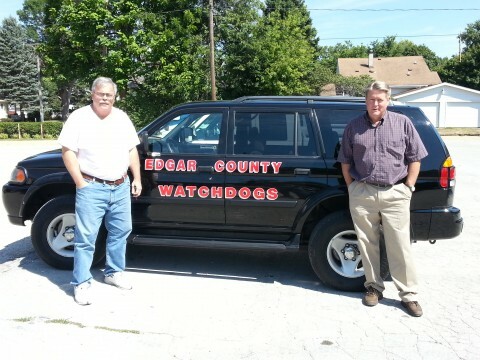 In an effort to take back their government from self-serving politicians and bureaucrats, John Kraft and Kirk Allen established a group called the Edgar County Watchdogs. Through a combination of public pressure, Freedom of Information filings, lawsuits, and media exposure, they have created a system that deeply threatens Illinois’ corrupt, entrenched political establishment. Despite an uphill battle, the anti-corruption twosome have been surprisingly successful. By doggedly pursuing justice for even the smallest infractions by bureaucrats and politicians, the Edgar County Watchdogs have driven 102 public officials to resign from their posts, including 33 officials in Edgar County alone. The pair busted the mayor of Redmond for attempting to hold office while living out of town. They represented themselves in court and beat Illinois Assistant Attorney General Emma Steimel in a lawsuit seeking access to state emails. Officials who have resigned due to the Watchdogs’ efforts include a property tax assessor, the Edgar County board chairman, an entire airport board and its manager, the attorney for Kansas Township’s fire department, Shiloh’s superintendent of schools, and Effingham’s health department administrator, among others. After they exposed corrupt, illegal, and self-serving spending habits by the Ford-Iroquois County health department, the entire bureaucracy was dissolved. In some cases, federal agents have even stepped in to investigate and issue subpoenas to local officials after receiving tips from Kraft and Allen. 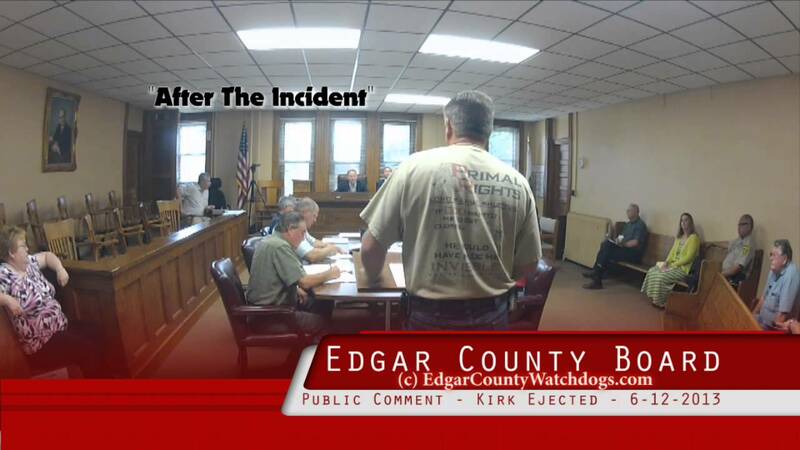 Kirk Allen ejected, for no reason at all, from Edgar County Board meeting during public session. 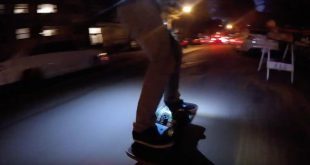 Notice how they keep their kool, record everything, and do not make their actions focus of negative attention with disorderly conduct. This is how it’s done. Inspired by Dillon’s Rule, a 19th-century principle that municipal governments can only act on the basis of powers that have been lawfully granted to them, the duo force public officials to prove that they are spending public funds and using public resources in a lawful manner. Activities like these helped Kraft and Allen catch a school superintendent who spent $5,000 worth of school funds dining out at restaurants. What began as an effort to clean up Edgar County has become a state-wide initiative to hold public officials accountable. In a short time, two concerned citizens who happen to be military veterans have dramatically shaken up Illinois’ infamously-corrupt political landscape.